Spectacular and huge 1940's Mexican mask brooch. 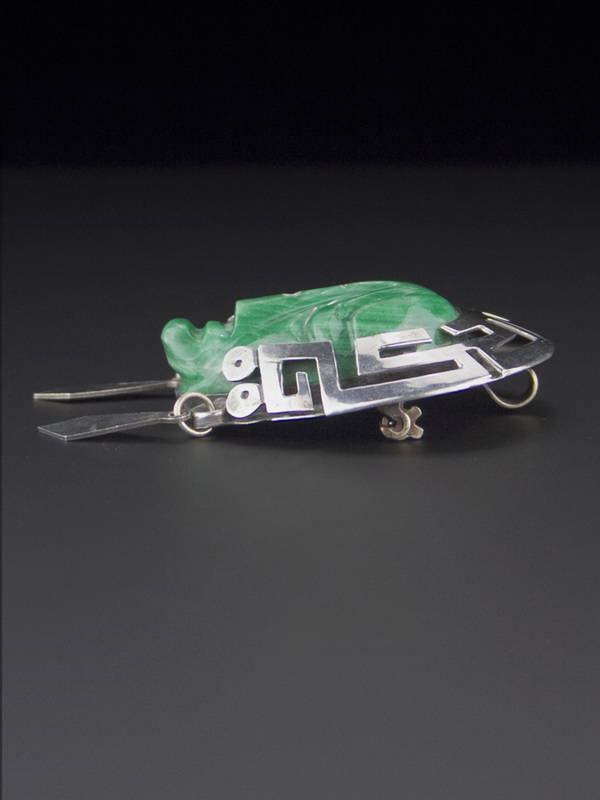 Totally spectacular geometric shadowbox sterling silver headdress, smooth carved green stone mask (stone is either a calcite, or dyed agate) and sterling earrings. 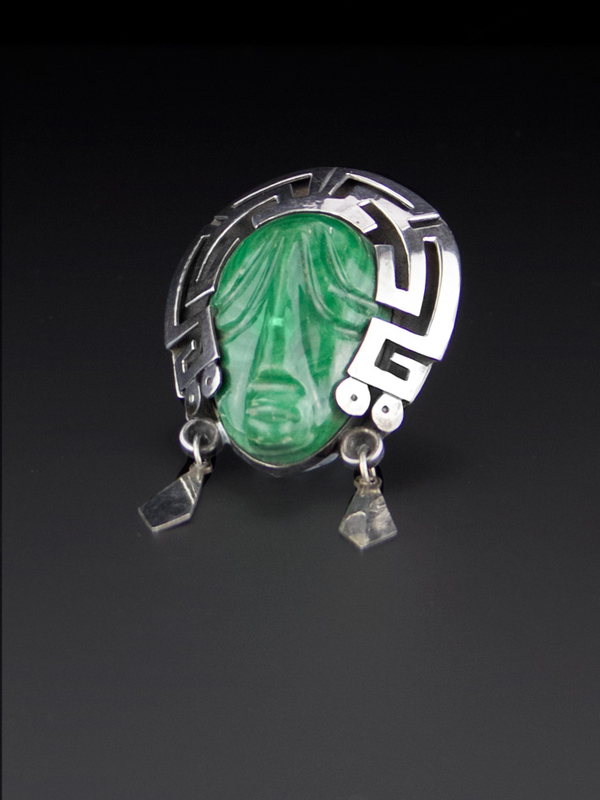 This Taxco made brooch is a very large three dimensional piece, the headdress sits in an arc above the stone dome. The stone is a very rich, glossy green. Safety clasp at the back and a pendant hook if you'd like to wear it on a chain - circa 1950's, this Eagle 3 marked brooch is signed. 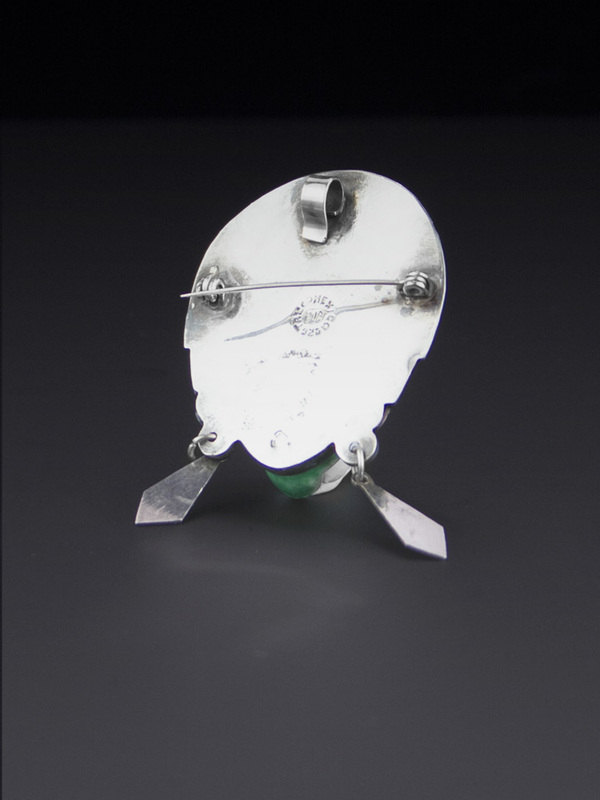 This is a weighty and superby crafted pendant/brooch. Spectacular condition. Shows mild wear commensurate with age, minor bite to nose only visible under very close inspection - does not detract, will come with some patina, as level of polish is a matter of taste. Has a handcrafted look to it - amazing vintage brooch.